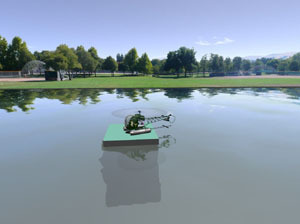 ClearView specializes in "real life" simulation of electric and gas RC helicopters, including TRex 450, Blade CX, CP and CP Pro, Hone Bee, Raptor 60 and 90 and many others. The RC planes range from light weight electric "Shockflier", to 100 size 4 stroke aerobatic Pitts Special to turbine driven F15 Eagle and F-16 Fighting Falcon. ClearView RC Simulator Personal License includes free lifetime upgrades. After the purchase, you will receive activation instructions via e-mail. Auto Pilot for Helicopters and Planes, including pre-defined training modes. Read ClearView customers testimonials here. See YouTube ClearView review here. RC car simulation added. See video of the cars in action here. See how ClearView compares to other simulators here. ClearView just got better! ClearView delivers even faster frame rates, crystal clear graphics, stunning full screen mode and faster loading times. ClearView provides best in class hi-res sceneries with full collision detection. Dynamic camera mode. Zoom modes. Close up camera. Auto Pilot. Magic Time(tm) time slowdown for better learning. Record, replay and share your flights. Panorama scenery import. DirectX FMS models import. Complete set of servos to try on your models. Rate and heading hold gyro simulation. Extensive servo selection. Experiment how different components affect the model flight. Models Added : TRex 500, Axe CP, Falcon 3D, Twister Coast Guard, Blade 400 3D, Blade CP Pro and Blade CX, TRex 450XL electric helicopter, Huey Scale Helicopter and 3 Edge 540 planes: - electric, 25% scale and 33% scale. 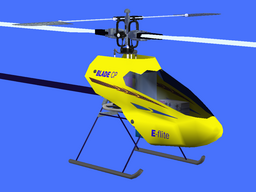 All Edge 540 models are set for all out 3d and are great for learning to hover. Create 3d replicas of your own RC models and fly them in ClearView - it is as challenging and rewarding as building a new RC model from scratch! We negotiated a special price for AC3D for ClearView customers. AC3D is powerful low poly modeling program that was used to create all ClearView models and sceneries. It is easy to learn and great way to discover the world of 3d modeling. How did you find ClearView web site?